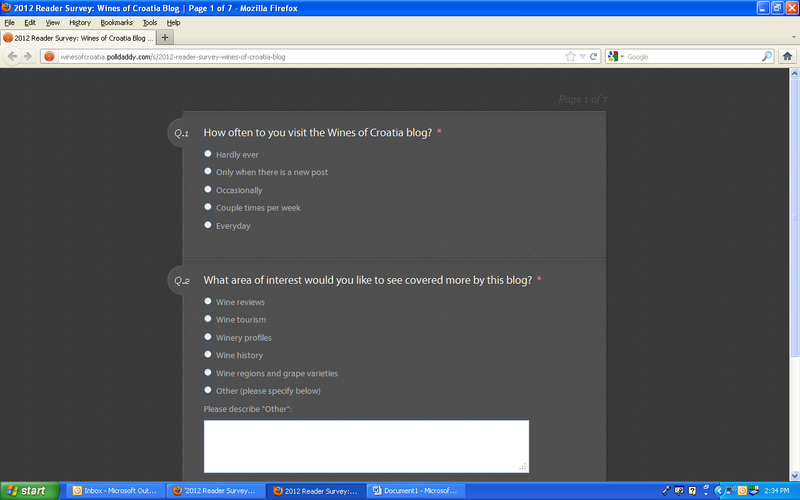 In order to provide you with the chance to share your opinions, thoughts, concerns, ideas and suggestions about the Wines of Croatia blog, we’ve put together a very quick, easy and anonymous survey for you to complete. If you have the time, please take a moment to complete it. There are only 10 questions, and it should not take you more than a few minutes to finish. 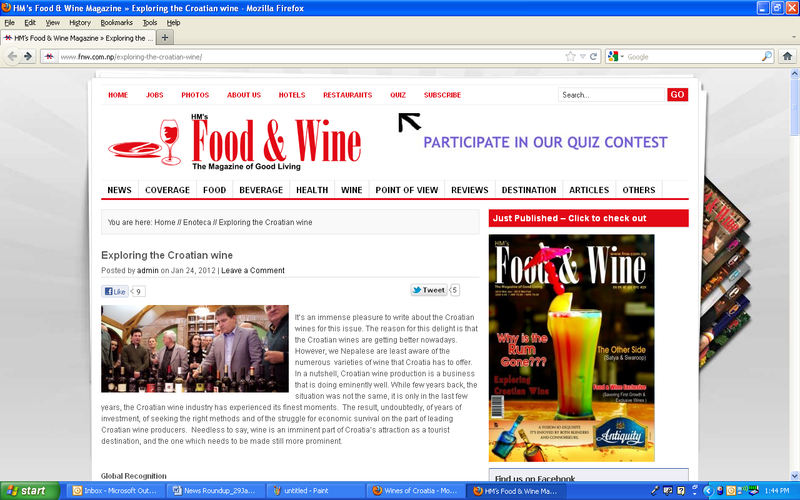 Your feedback is very important and will help guide the development and direction of the blog as we go forward. 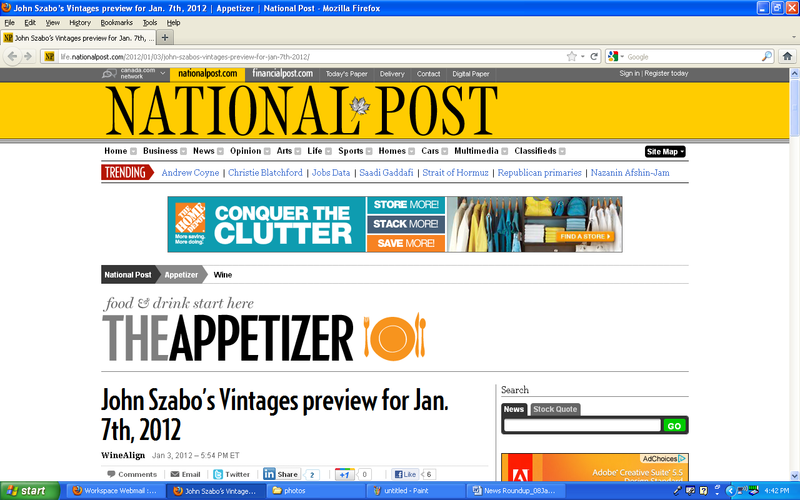 The survey will be open until February 6, 2012. Below is the direct link to the survey. Happy clicking – and THANK YOU for your time! 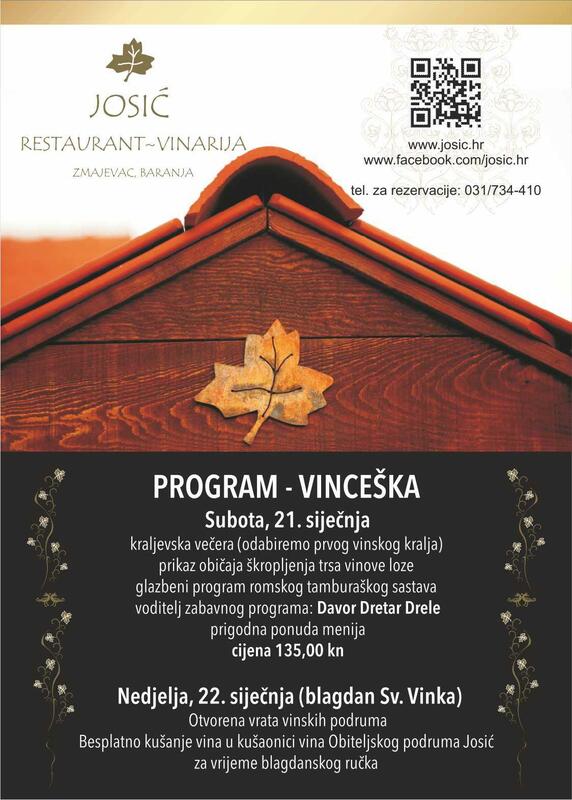 After hiking and bathing comes an evening of freshly-caught Adriatic fish, delicious delicacies, liters of local wine, live music, and lots of singing (and maybe even a little romance) for visitors to Croatia’s southern Adriatic coast. 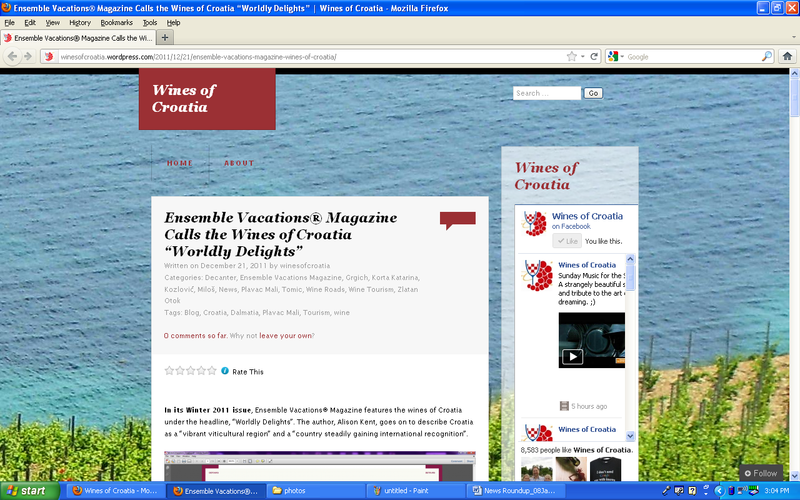 Croatia wines receive recognition in Ensemble Vacations Magazine. 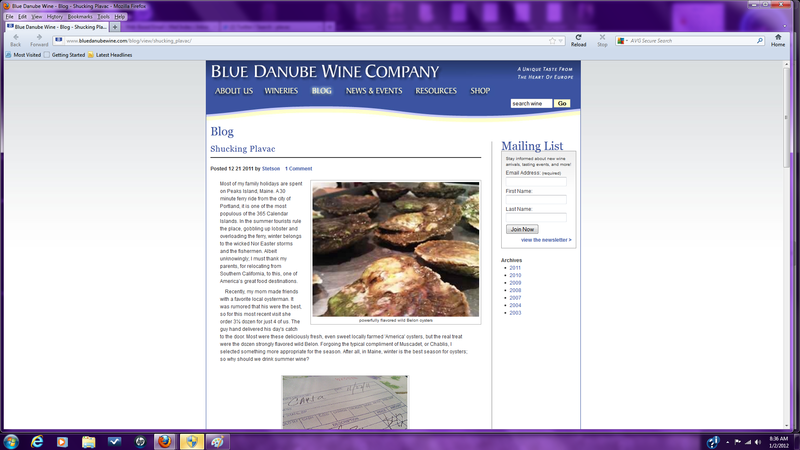 Breaking molds, defying convention, shucking old assumptions, and moving barriers: Croatian red wine with oysters? When it comes to Miloš Plavac Mali, the answer is yes! 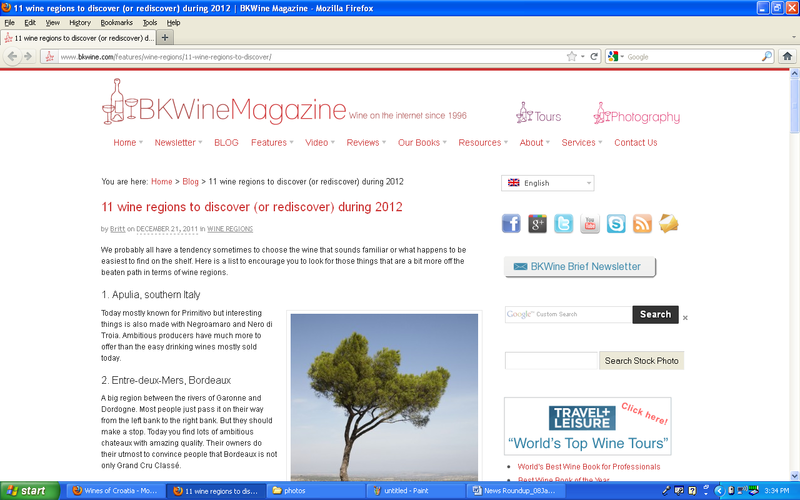 BK Wine Magazine names Istria as one of its “11 wine regions to discover in 2012”. 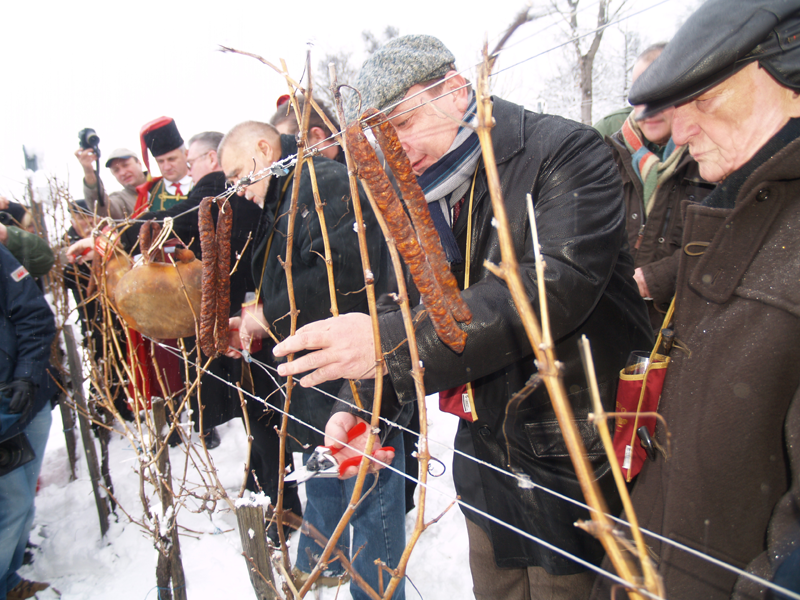 Europe Up Close concludes their visit to Croatia with a culinary journey through Zagreb, in which they discover Dolac Market, Portugizac young wine, “domaci cvarci”, the Museum of Broken Relationships, “strukli”, Klub Gastronomadi, and that Slavonian oak is from Croatia, not Slovenia. 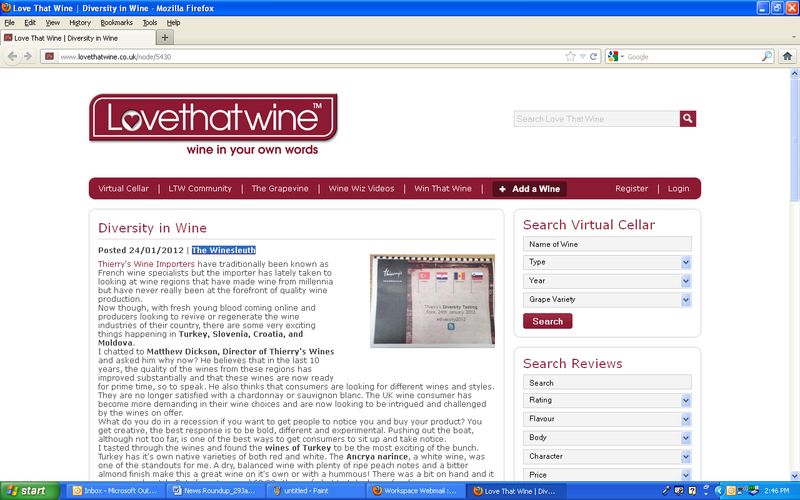 An American sommelier living in Zagreb reviews Kutjevo Graševina 2009. 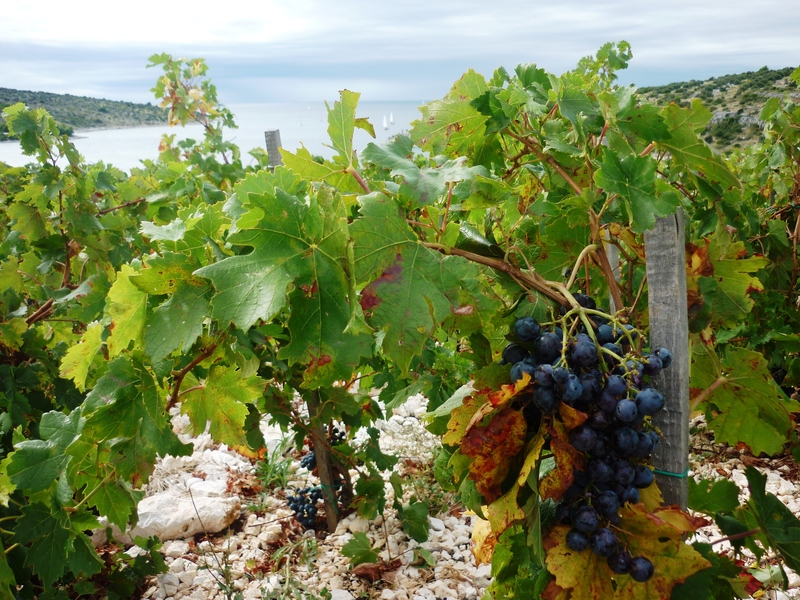 Another beautiful report from Secret Dalmatia, where the writer enjoys Korlat Merlot, one in an exciting (and award-winning) new lineup of wines from Vinarija Benkovac near Zadar. 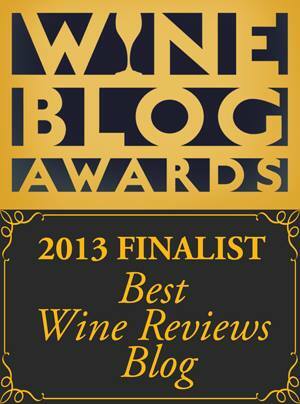 “Any wine that can be quite so compelling after 48-hrs with no sleep…must be special”. 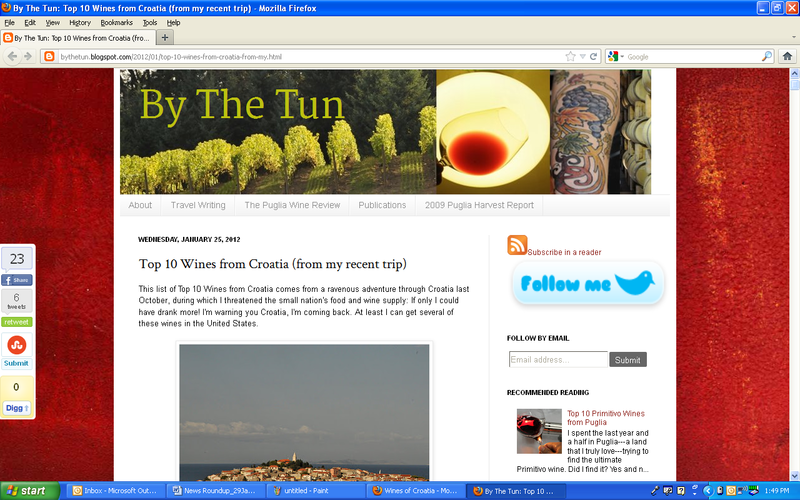 Read on to find out which Croatian wine made Wine Chap’s list of “Top Wines of 2011”. 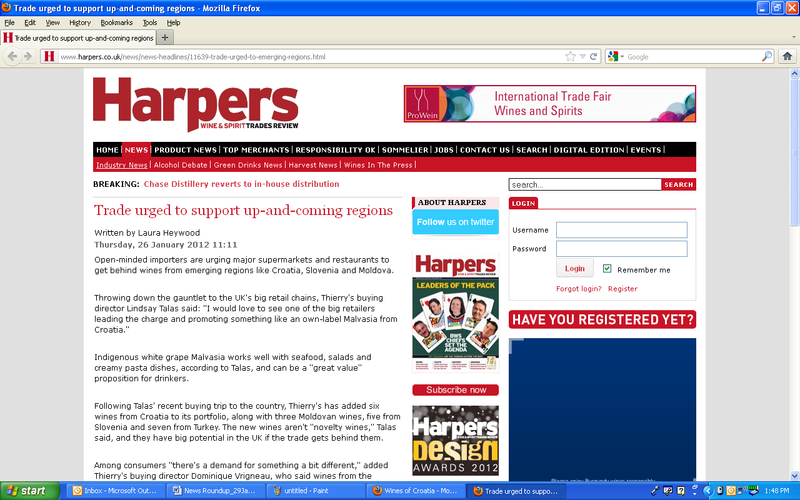 Michael Pinkus, aka “ Grape Guy” – discovers the wines of Matosevic and Trapan at a Chicago “Meet the Winemakers” event. 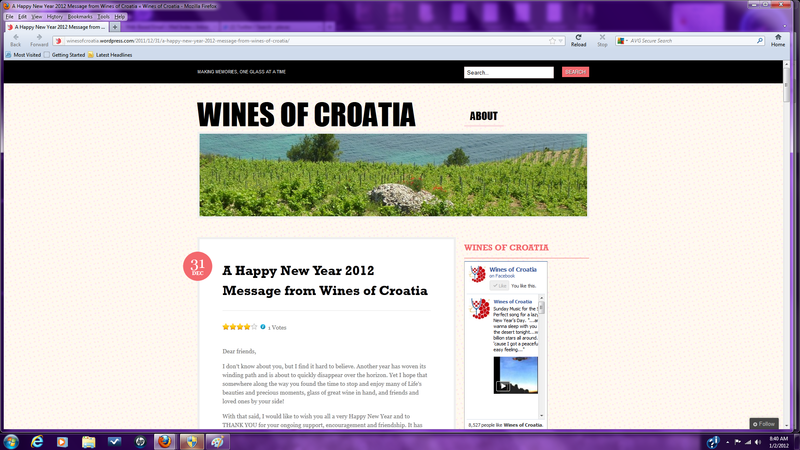 Wines of Croatia founder Cliff Rames offers a New Year Wish and some thoughts for 2012. 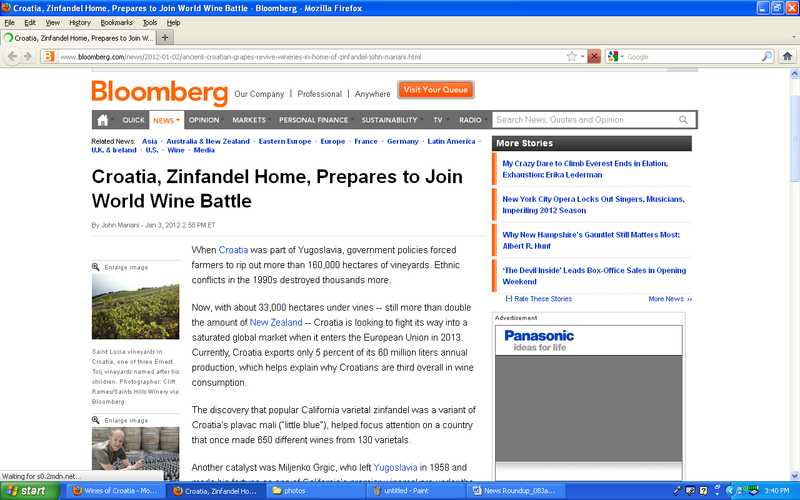 Bloomberg News suggests Croatian wines as an alternative to Bordeaux and California cabs and highlights Matosevic Malvasia Istriana, Saints Hills Dingac, and Trapan Syrah as excellent choices. 14. 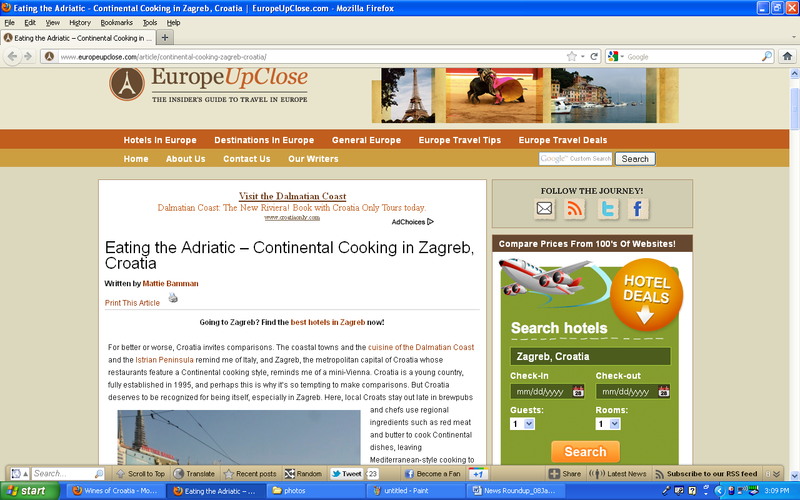 The Economist: Dalmatia’s Troubled Waters? 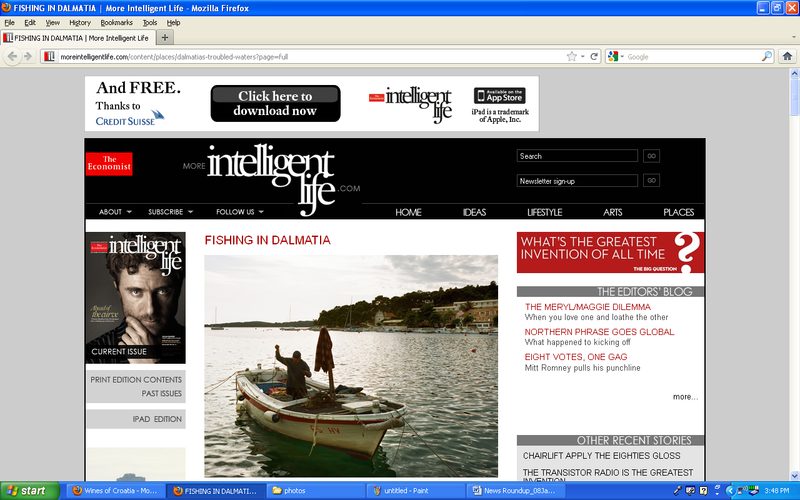 The Economist’s “More Intelligent Life” magazine examines the impact on Croatia’s seafood culture as a result of pending European Union integration. 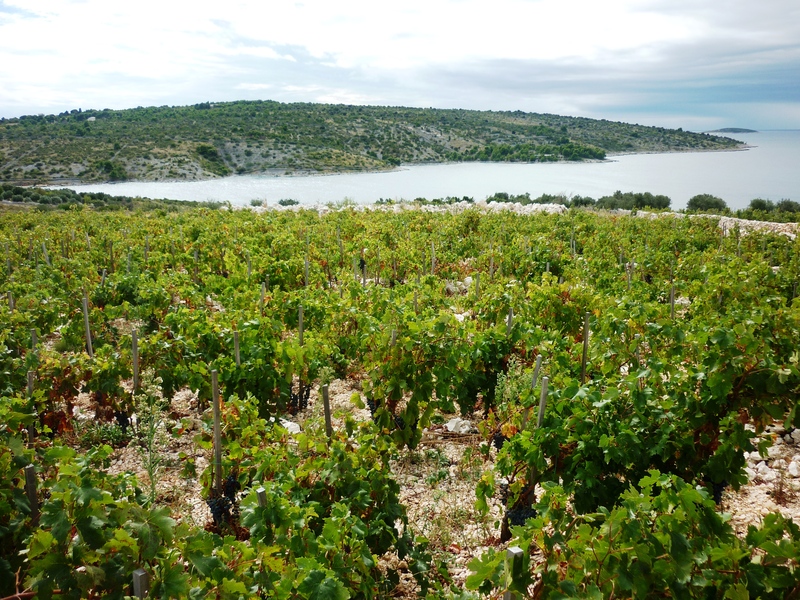 Paul Bradbury reflects on the “exciting new options” Croatian wines bring to the European market. 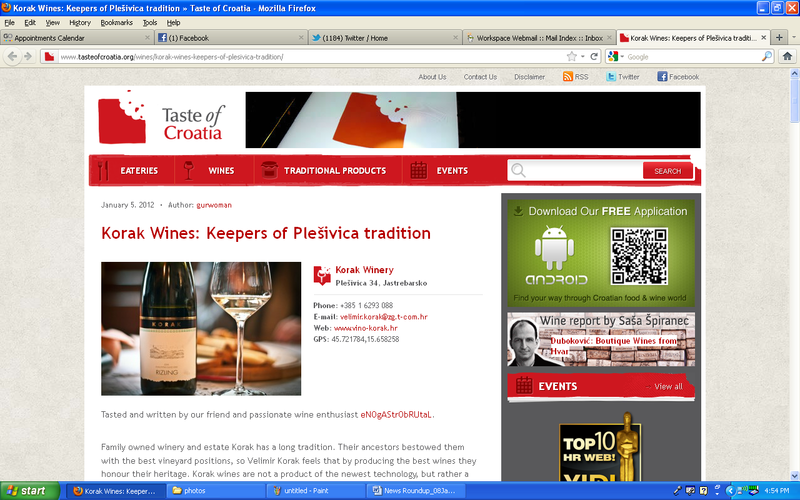 Master Sommelier John Szabo puts Croatian wines on his discover radar for 2012. 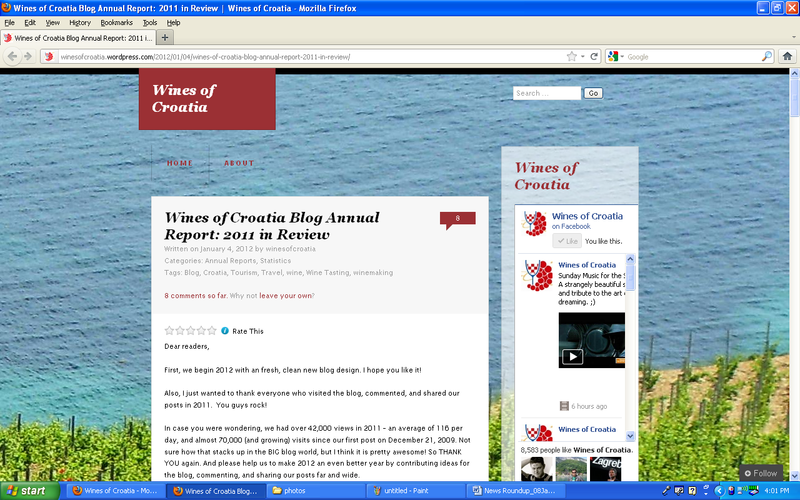 Statistics and other 2011 site data for the Wines of Croatia blog. 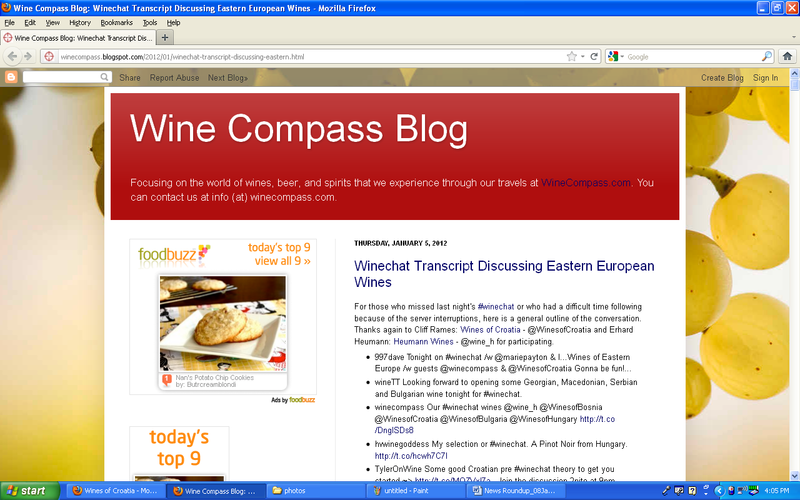 Transcript from January 4th’s Twitter #winechat that featured wines from Croatia, Hungary, and Serbia. “Soil so red it stains your hands, a native red variety with off the charts acidity, and a family dedicated to tradition with an eye for innovation”….Meet the Terzolo family of Istria and their delicious flagship wine, Teran. 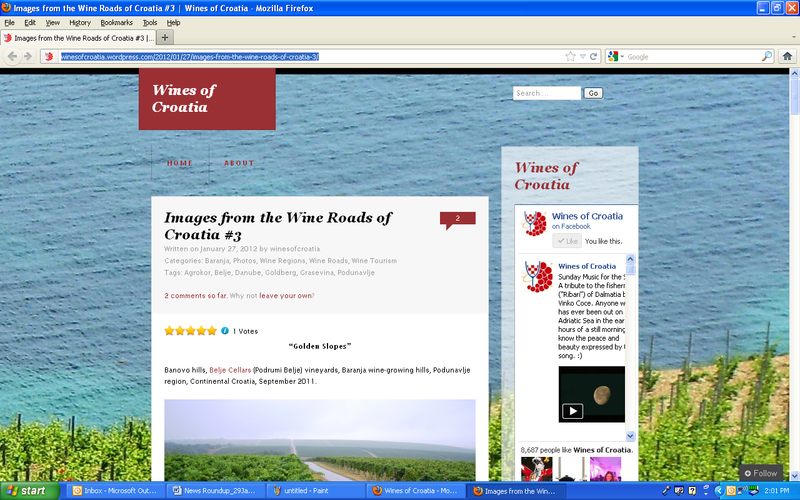 The crew from Taste of Croatia profile Korak winery in the Plešivica Hills of Croatia. 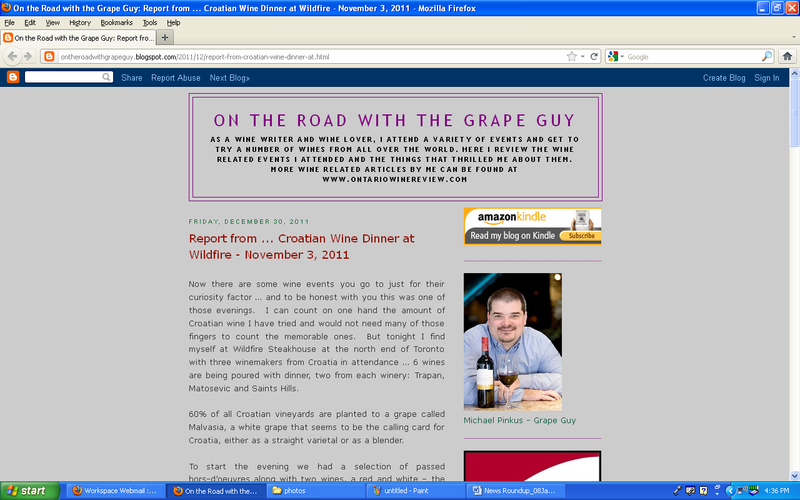 Cliff Rames of Wines of Croatia takes us on a journey through the hills of Bucavac vineyard, home to Babić, Damatia’s second most important native red grape. In the hills just above a luxury marina filled with opulent yachts lies a natural wonder – one of those rare and mystical places where the transcendental forces of the planet converge to create a particular sweet spot for growing wine grapes. 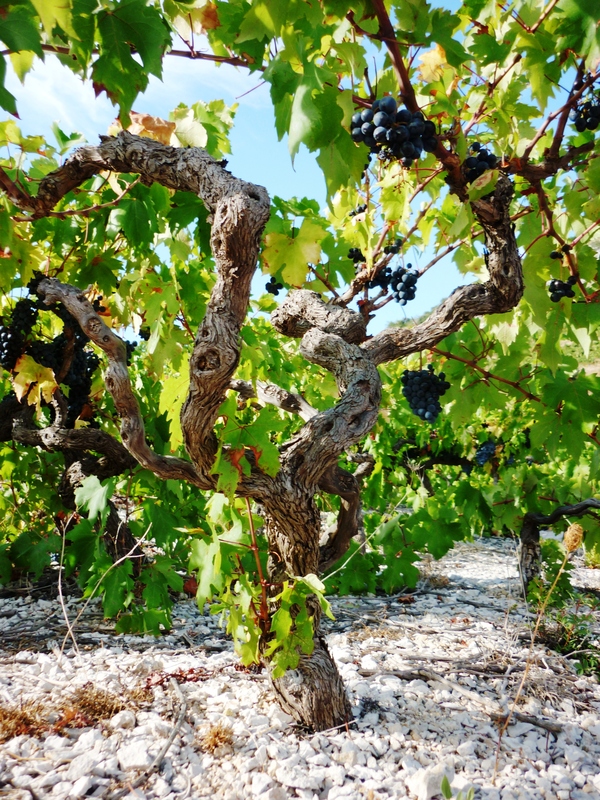 Here the leaves of old vines radiate in the summer heat. White rocks cover the ground and reflect sunlight, shrouding the plants in a platnium aura. Climb up onto the slopes and all grows quiet; a seminal silence – the hushed ancient secrets of butterflies, cicadas and sun lizards. 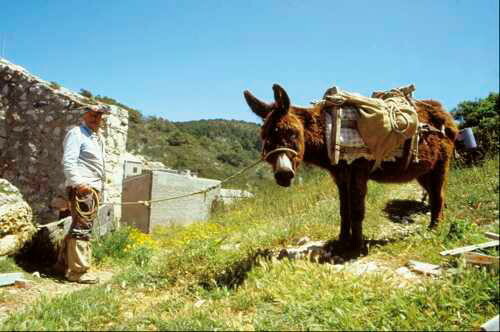 I imagine them taking cover under leaf and stone as the salty sea breeze flicks over the craggy landscape. 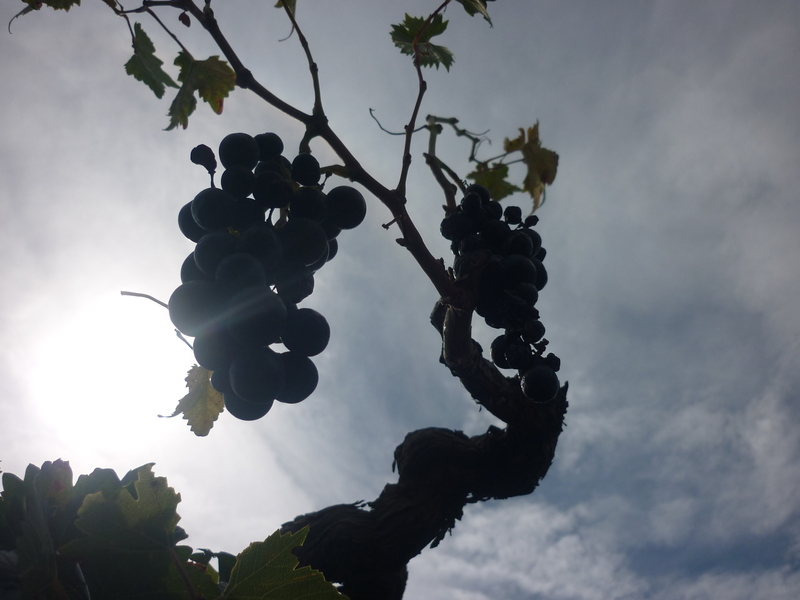 The vines – many hunched like old market women and gnarled by the forces of time – stand stoically and stooped, burdened by their dark bunches and surrendered to the pateince they know they must keep through the decades, the centuries…. But one cannot feel – while meandering on foot through this majestic place – anything but light in step, reverent in heart, and stimulated in mind and spirit. For this is Bucavac vineyard, an unassuming shrine to the local native red grape called Babić (for more about Babić, click HERE). 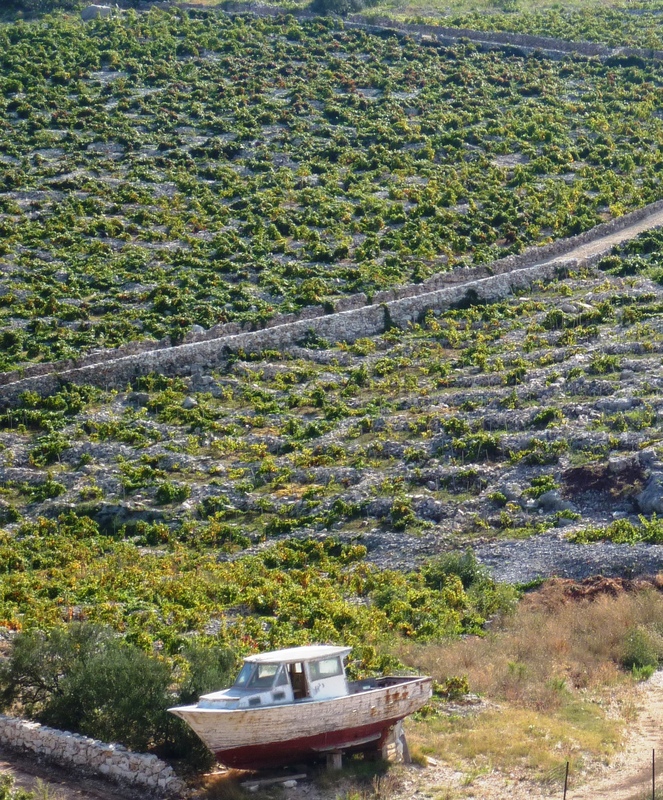 Bucavac is arguably one of the least known yet most renown vineyards in Croatia (taking a respectable place behind some of the more famous coastal vineyards such as Dingač and Postup). 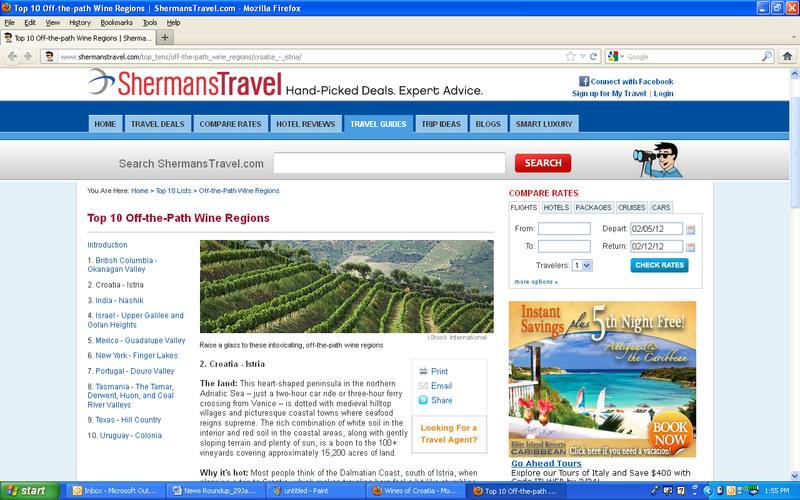 Elsewhere in the Old World of wine growing regions, vineyards of this stature and power are often bestowed with titles such as Grand Cru or Premier Cru. 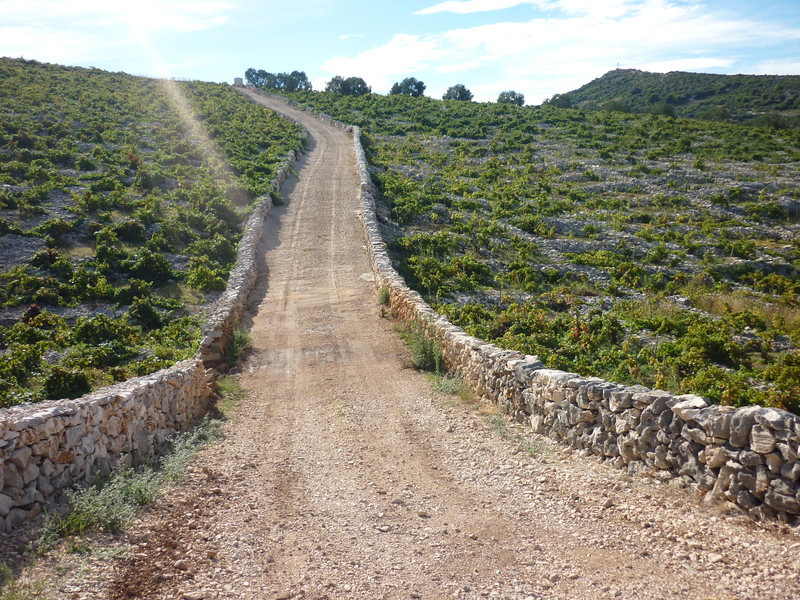 These growing areas are treated as sacred places and stand as royal thrones to the nobility of the wines produced there. 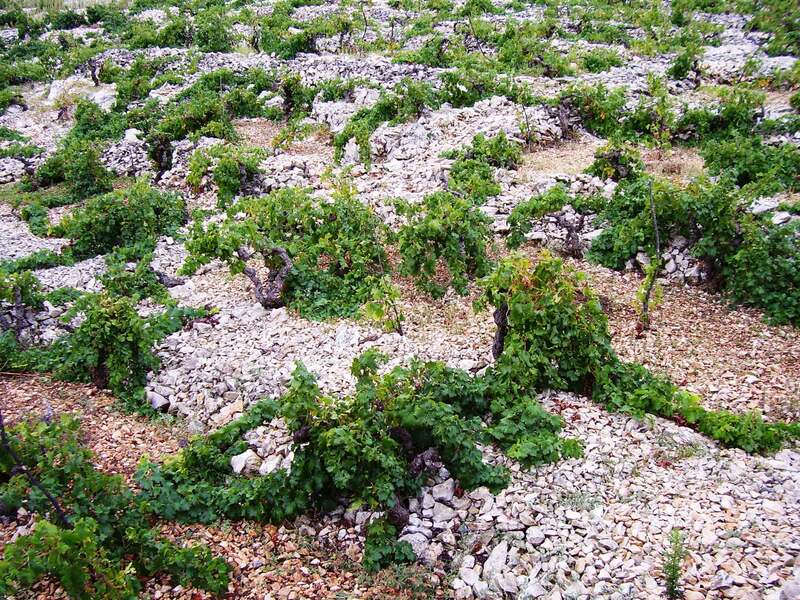 One wonders, if Bucavac were located in France, would it be considered among the great wine regions of the world? 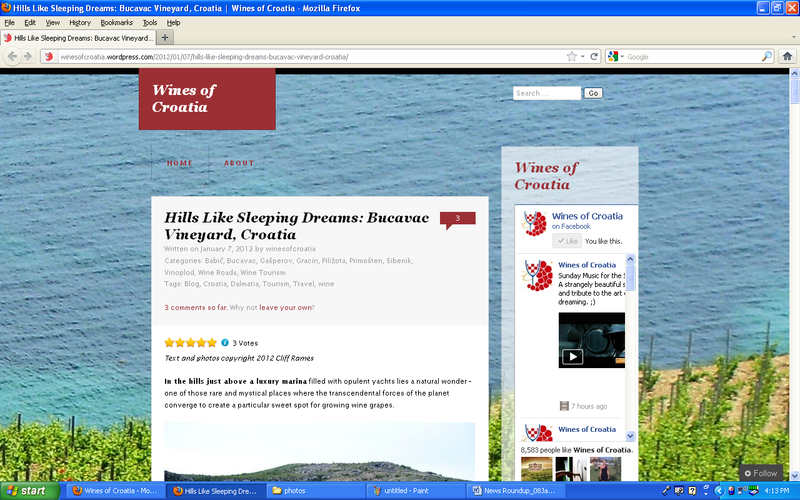 In Croatia Bucavac is simply an umarked and often unnoticed hillside. Unpretentious and until recently nearly forgotten. Tourists in sleek cars pulling boat trailers or campers zoom by on the Jadranska magistrala (Adriatic Highway), oblivious to the quiet grandeur of the sacred garden just off in the distance with its knotted and wizened old vines. 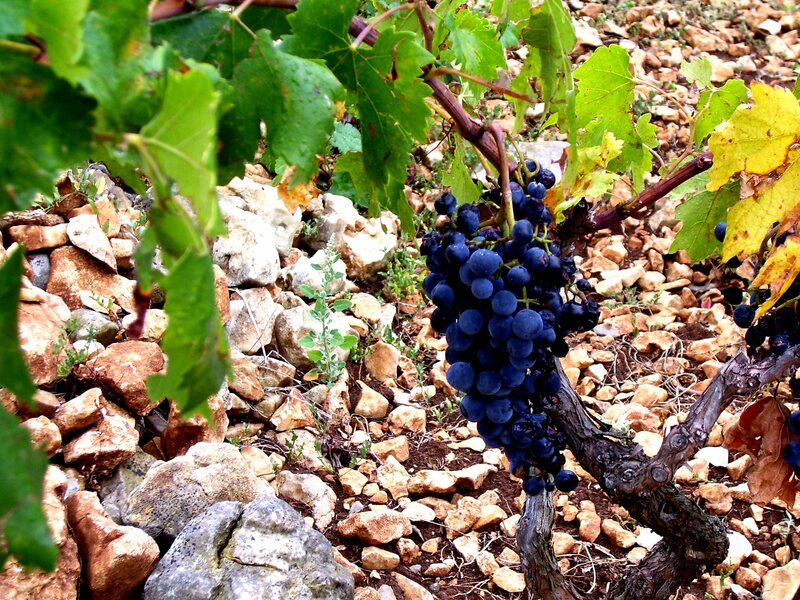 While not ancient, Bucavac vineyard is legendary and remains a testament to human determination and endurance. 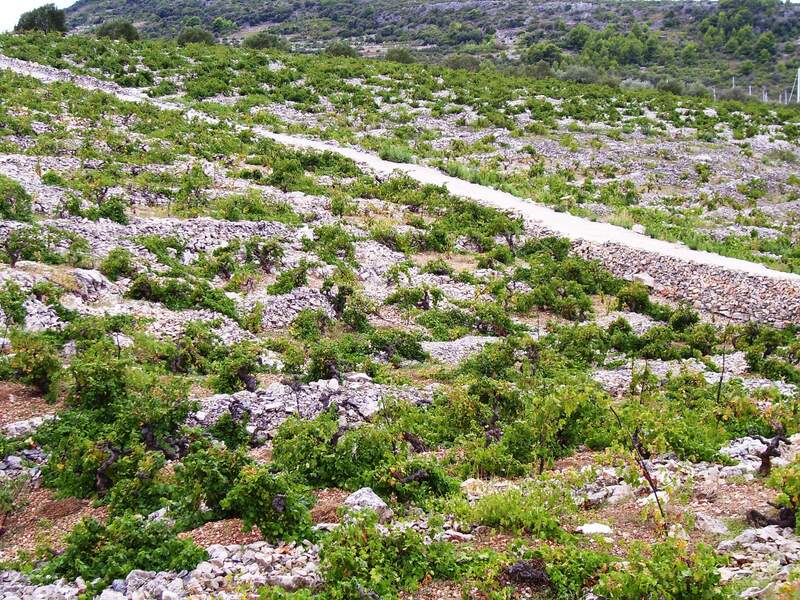 It is the only vineyard site in Croatia that is on UNESCO’s World Heritage Tentative List as a protected site of “cultural and natural significance”. 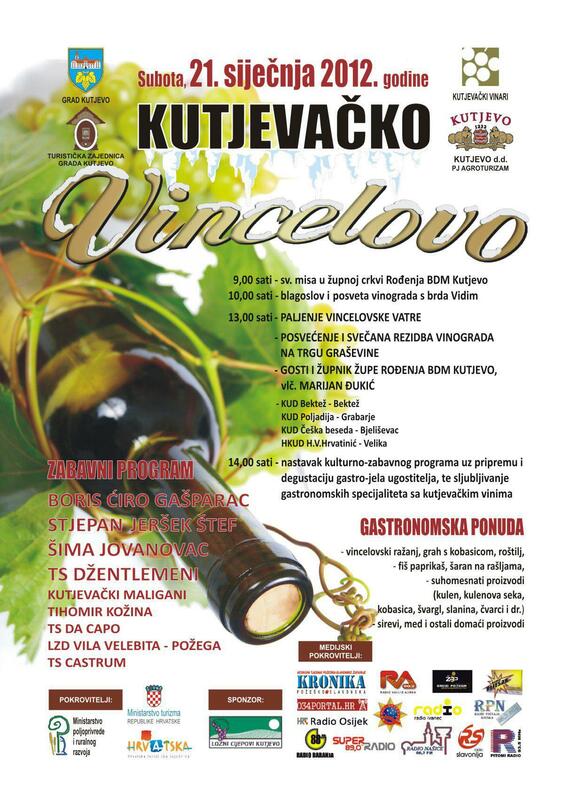 To further heighten the historical mystique of this little vineyard and the Babić grape, an old aerial photograph of Bucavac was once displayed in the lobby of the United Nations building in New York City. 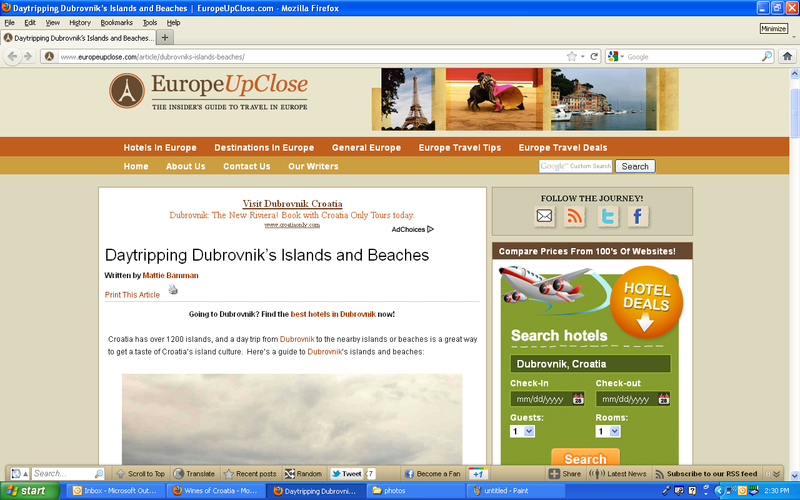 Lying about 20 minutes south of the coastal city of Šibenik, Bucavac occupies a sleepy hump of limestone hillside just two miles (3 km) south of the seaside resort town of Primošten. The landscape is a mixture of terra rossa soil, blue-grey scrub brush, shimmering green vines, and white limestone set to the backdrop of an aqua-bue Adriatic Sea. Looking at Bucavac from a distance, I am reminded of the fabulous title of an old Ernest Hemingway story, “Hills Like White Elephants”. 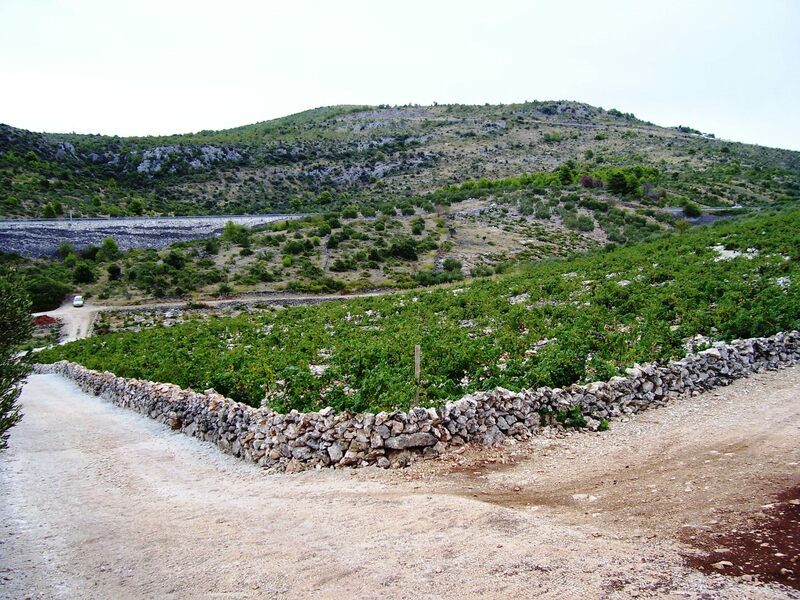 By far the distinguishing characteristic of Bucavac vineyard is the patchwork of stone walls and square plots of vines that criss-cross the slopes. 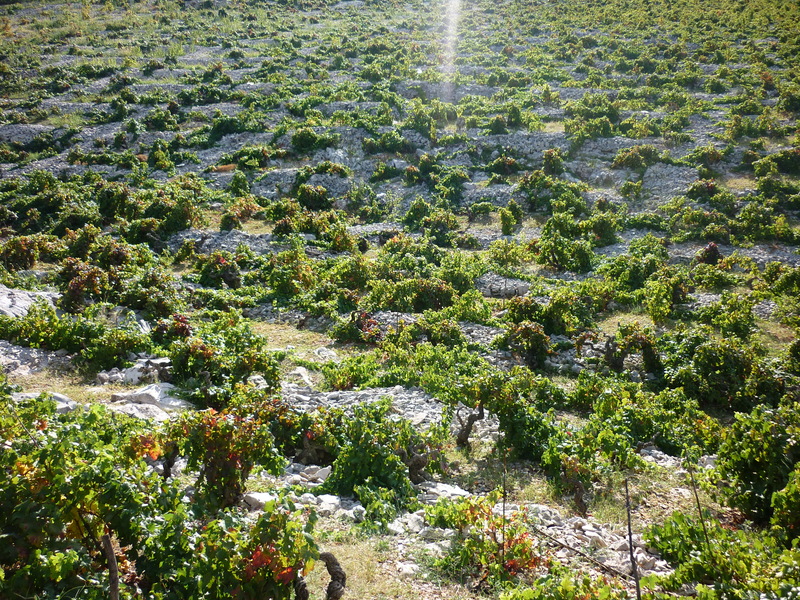 Collectively these checkerboard plots comprise the approximately 18 hectares of Babić vines that is Bucavac vineyard. 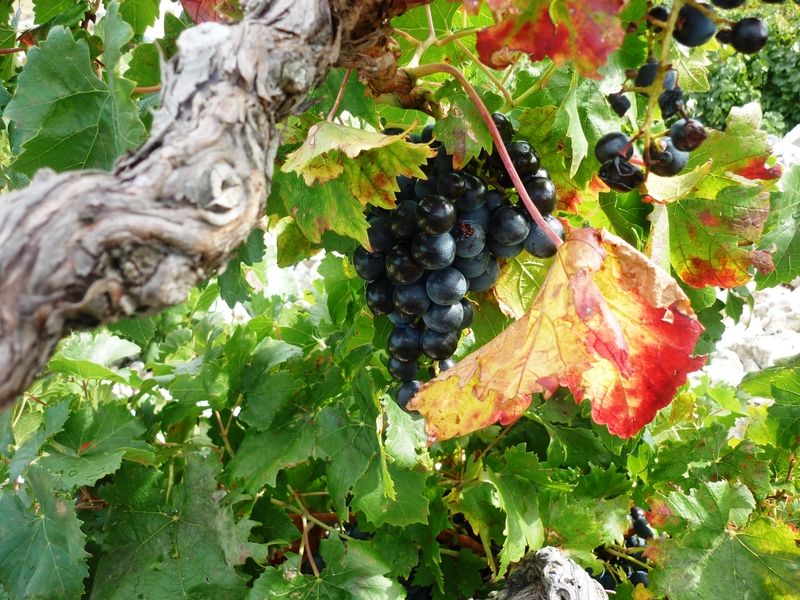 Many of the vines are over 40 years old. Today Bucavac vineyard lies somewhat in limbo as its future is debated and its place in the world of wine remains to be seen. 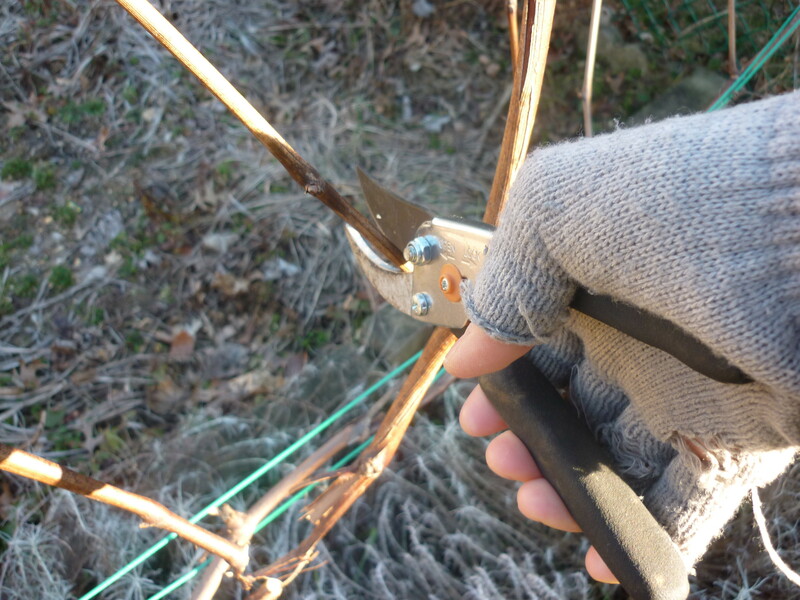 A project to restore the vineyard and replant the oldest and most unproductive vines is currently underway. 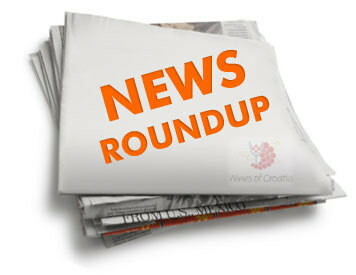 However, limited government funding and pending European Union regulations prohibiting the planting of new vines have slowed progress and left the project without a clear mandate. When I first visited Bucavac, I ventured up the top on the slopes on my own, thinking that at any moment someone would shout at me for trespassing – or that I would be arrested by the authorities. But nothing happened. I was left alone to stroll among the sleepy vines, lost in reverent thought, sampling nearly ripe berries along the way, digging my fingers into the soil, and turning over a bleached piece of limestone between my fingers. 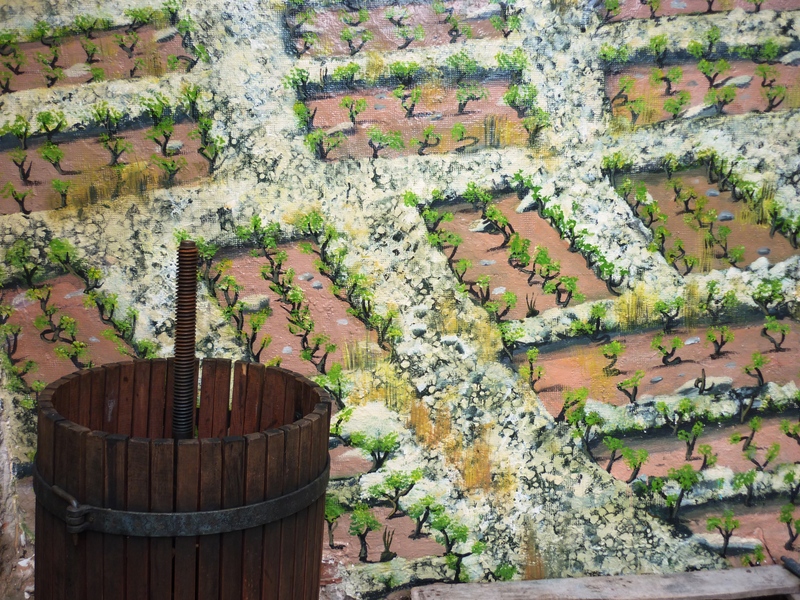 Touching the terroir, as they say…. I promised those vines that someday the world would love them. 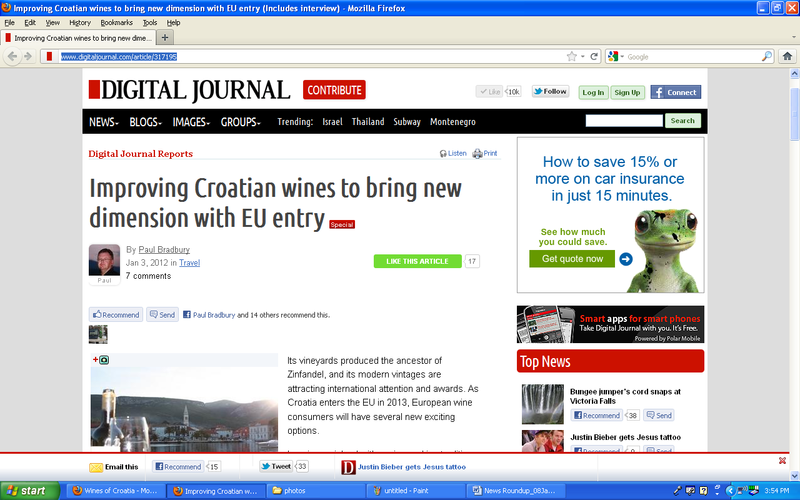 Someday wine aficionados from all corners of the earth would taste the dark nectar of their souls: premium Babić wine! And they would be happy, laughing and singing, and toasting one another’s health. After my last visit to Bucavac (when I eventually came down out of them hills), I made my way into Primošten. There I met Professor Leo Gracin, who is one of the leaders of the Bucavac restoration project. 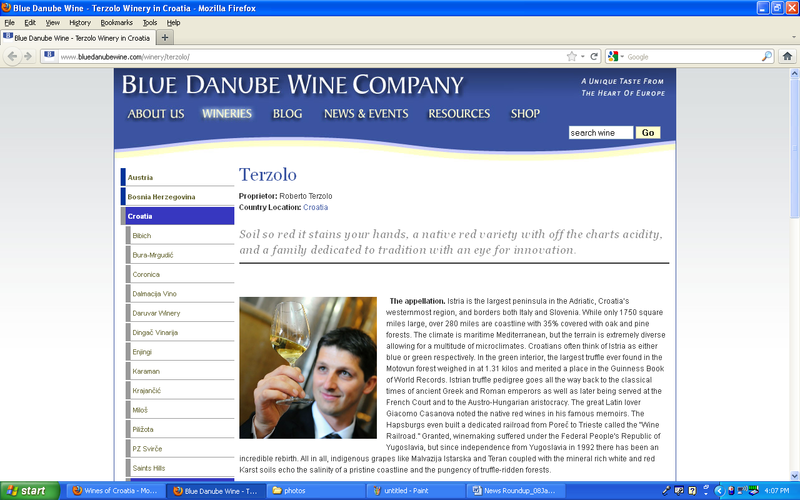 He happens to also be one of the few quality producers of commercially-available Babić wine in the region. His “Suha Punta” Babić remains as one of the best examples of this darkly colored, uniquely characteristic wine. 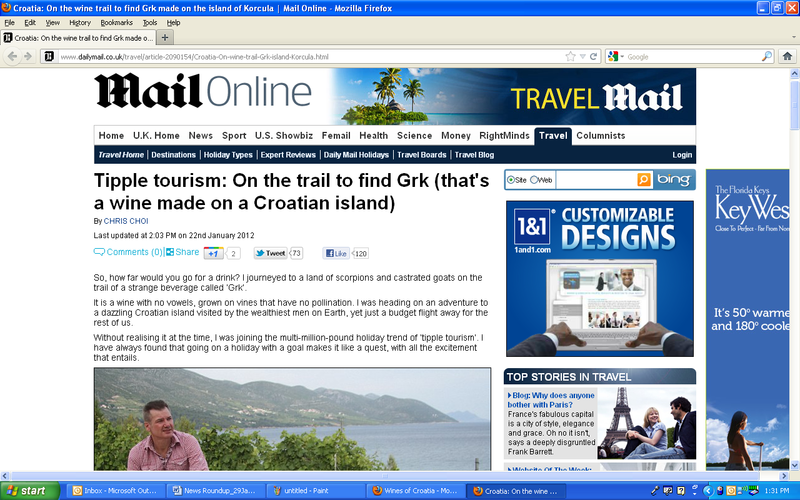 I found Dr. Gracin waiting for me at a small restaurant in the center of Primošten. 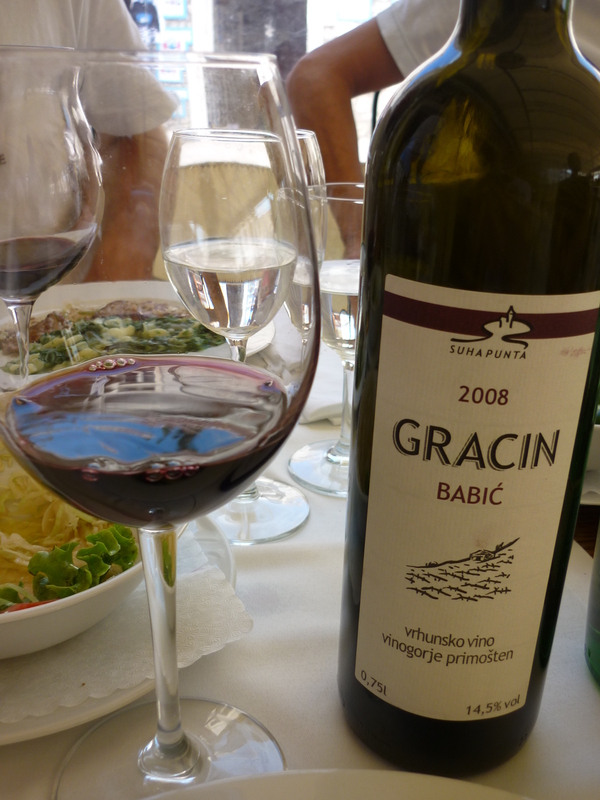 On the table was an open bottle of his 2008 Babić and lunch. 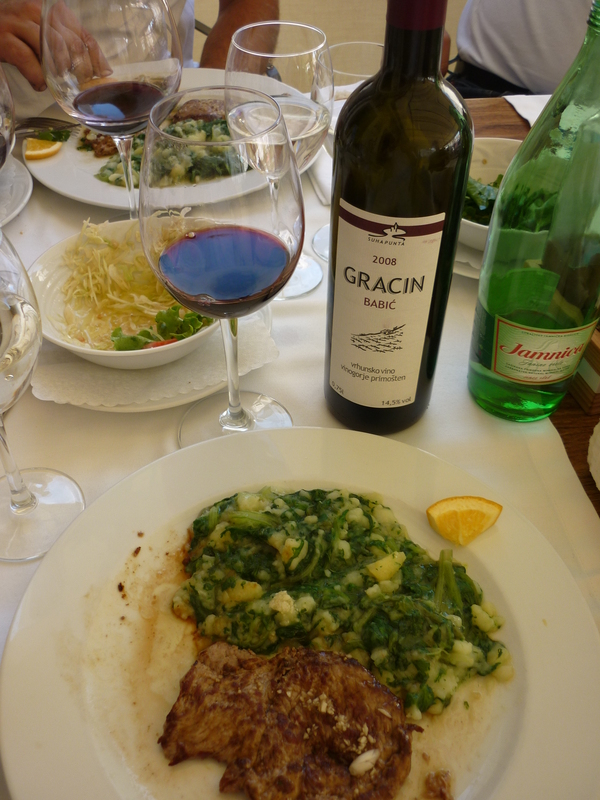 As I sipped and swirled the wine and ate heartily from the savory selection of pan-fried veal, braised chard and potatoes swimming in golden olive oil, and fresh crusty bread, I thought about the vines of Bucavac and my promise to them. And here in my glass, so dark and brooding, was their gift to me. An inky elixir in which swirled all the flavors of Bucavac – the stones, the red soil, the olive trees, figs, sea salt, wild thyme and rosemary, the scratching song of the cicadas….For a moment I thought I could hear the wind – and the ancient secrets of all the life that over time made those hills home. Ghosts of the leathered faces and hands that once excavated the stones from the soil and stacked them into the immovable walls of Bucavac seemed to ascend on the wine’s bouquet, brushing my lips and cheeks. 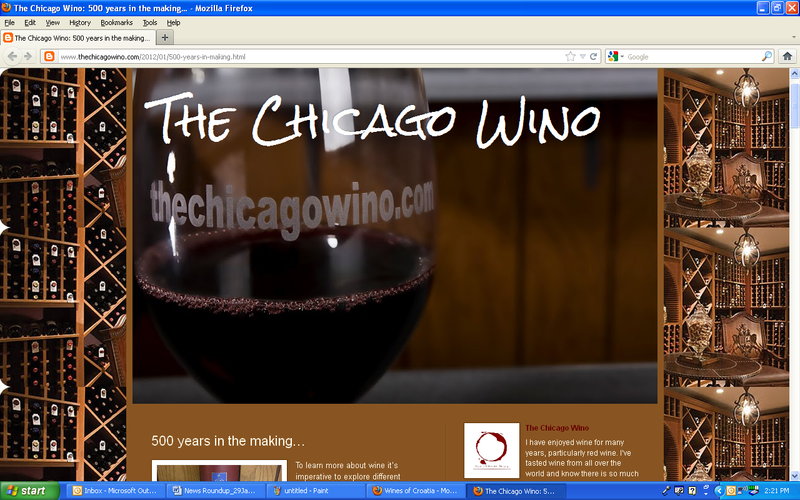 Looking even deeper into the wine, I noticed that from its dark depths radiated a light. The light of grace. The light of love. The light of patience and hope…. Time suddenly slipped away. My body became spirit. My soul grew still. I understood…. Life is indeed transient. What is important is not what when take from it but what we leave behind for new generations to find. At this juncture I am inclined to let Hemingway keep his wonderful “Hills Like White Elephants” metaphor. 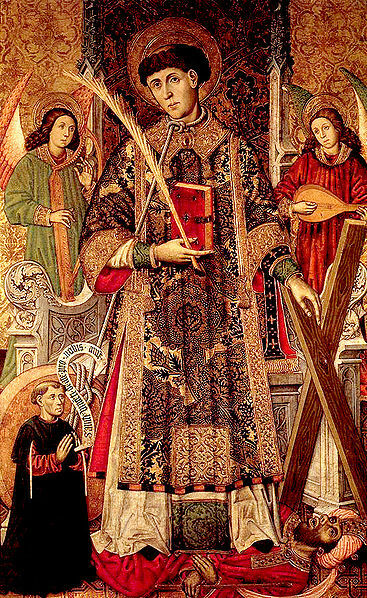 Bucavac deserves a metaphor of its own, something that captures its sense of timelessness, beauty – and tenuous future. “Hills Like Sleeping Dreams”. Hmmm…perhaps. And like a dream, it is in a somewhat suspended state of animation that Bucavac remains. Living proof of the continuity of life and triumph over hardship and uncertainty. I suspect that it will continue to uphold that tradition – at least I hope so. With a glass of Babić in hand, I daydream about the time when I can wander those hills again. Feeling fully awake to their magic. Overcome by the mysterious power of the planet’s ability to generate such breathtaking beauty. Humbled and meek among the seminal stones of history. 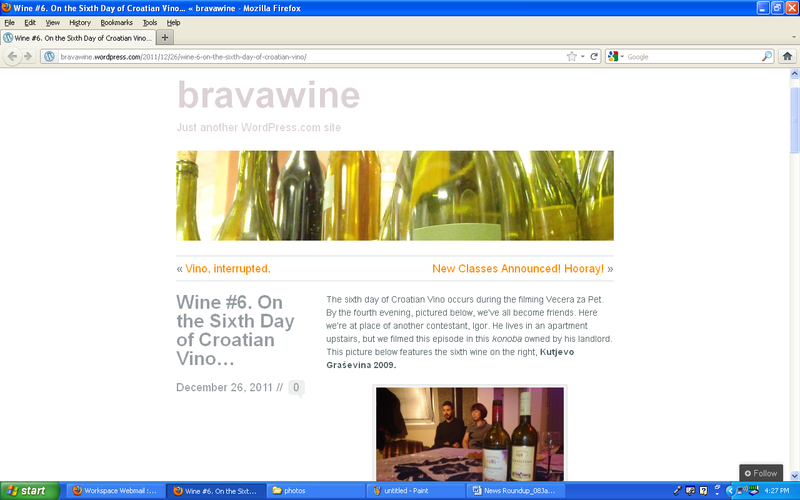 First, we begin 2012 with an fresh, clean new blog design. I hope you like it! 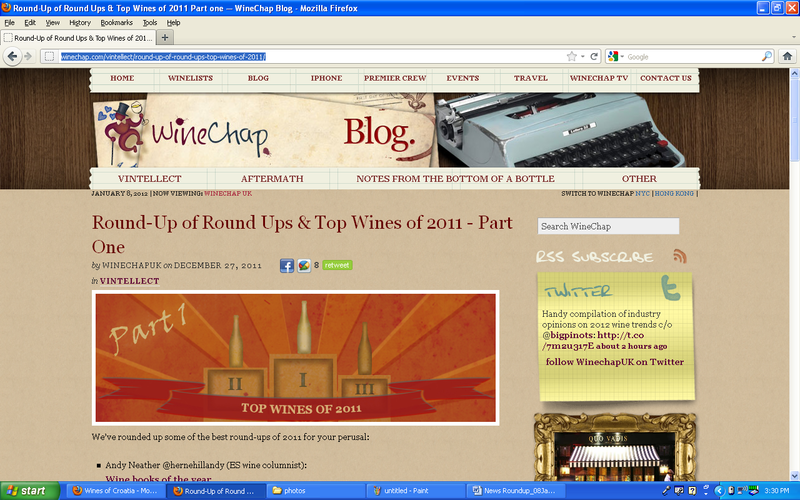 Also, I just wanted to thank everyone who visited the blog, commented, and shared our posts in 2011. You guys rock! In case you were wondering, we had over 42,000 views in 2011 – an average of 116 per day, and almost 70,000 (and growing) visits since our first post on December 21, 2009. 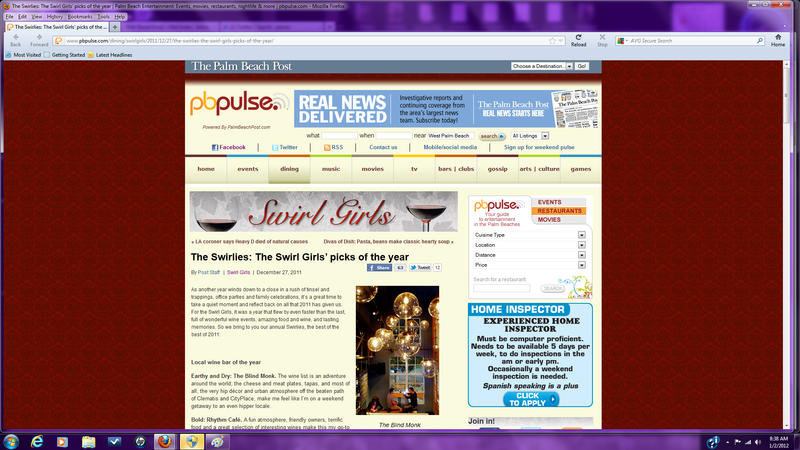 Not sure how that stacks up in the BIG blog world, but I think it is pretty awesome! So THANK YOU again. And please help us to make 2012 an even better year by contributing ideas for the blog, commenting, and sharing our posts far and wide. 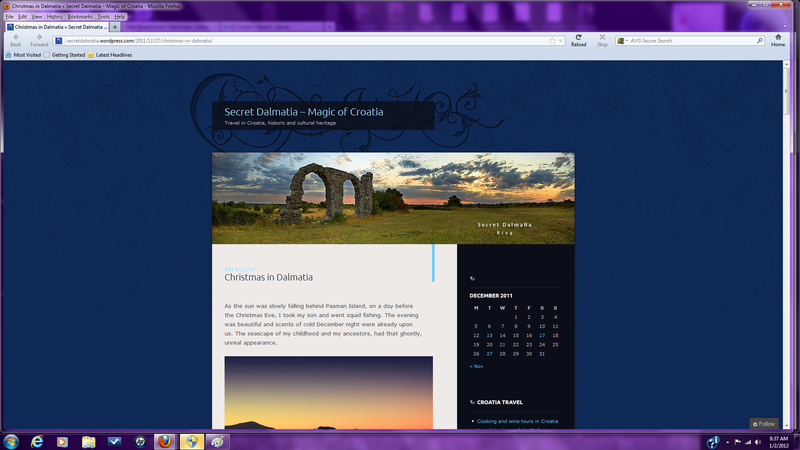 In the meantime, check out the full annual report courtesy of the WordPress.com stats helper monkeys. 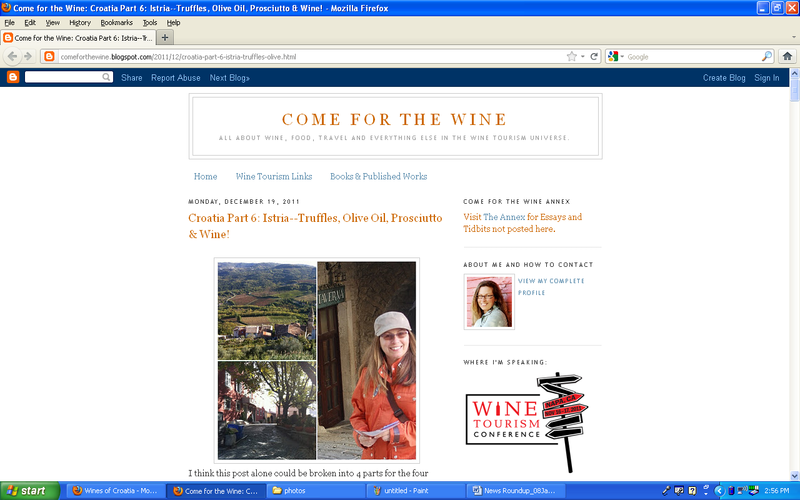 And enjoy the new blog design – and content – in 2012!